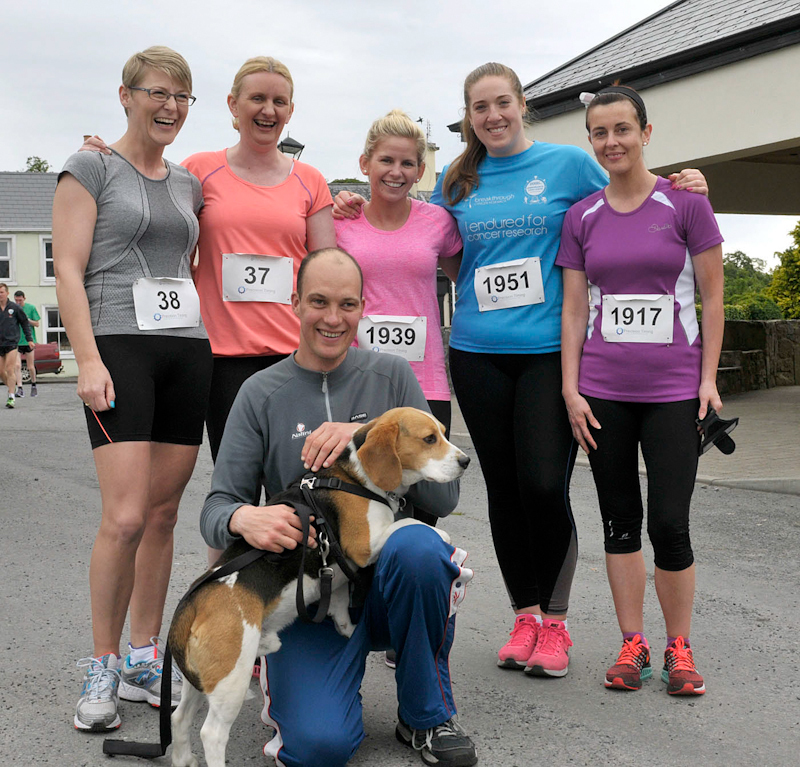 Balla 23rd 10k Road Race/Walk, sponsored by Western Farming Development Co-Op Society Balla, a group from Foxford running in the race front Ronan Burke with his dog Pepe, back l-r; Marie Prendergast, Elizabeth Maloney, Nadine O’Hara, Lisa Brogan and Fiona Staunton. Photo © Ken Wright Photography 2015. 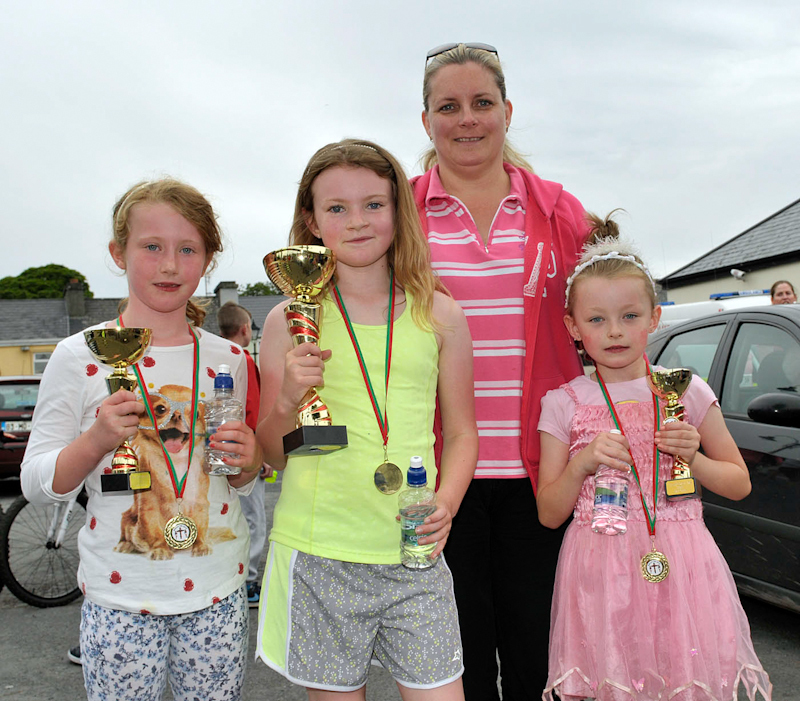 Girls Winners of the Balla under 16’s 2k children’s Road Race/Walk sponsored by The Shebeen Bar Balla, l-r; Aisling Morris 2nd, Caroline Gilmartin (sponsor), Sophie Healy, 1st and Lauren Dunne 3rd . Photo © Ken Wright Photography 2015. 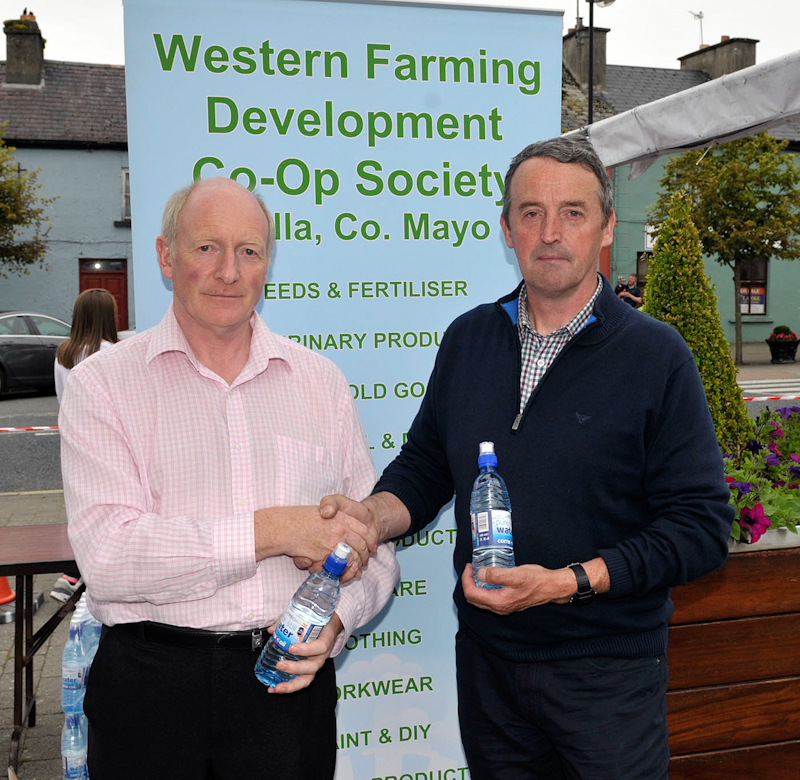 Balla 23rd 10k Road Race/Walk, sponsored by Western Farming Development Co-Op Society Balla, who also sponsored bottled water for the race Francis Brennan representing the sponsor and Brendan Conwell, organiser. Photo © Ken Wright Photography 2015. 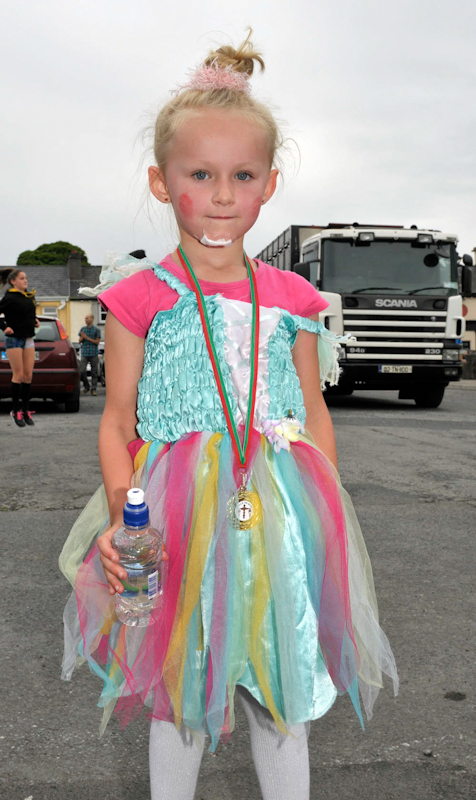 Balla under 16’s 2k children’s Road Race/Walk sponsored by The Shebeen Bar Balla, Amy Marie Dunne who received a medal for taking part in the race. Photo © Ken Wright Photography 2015. 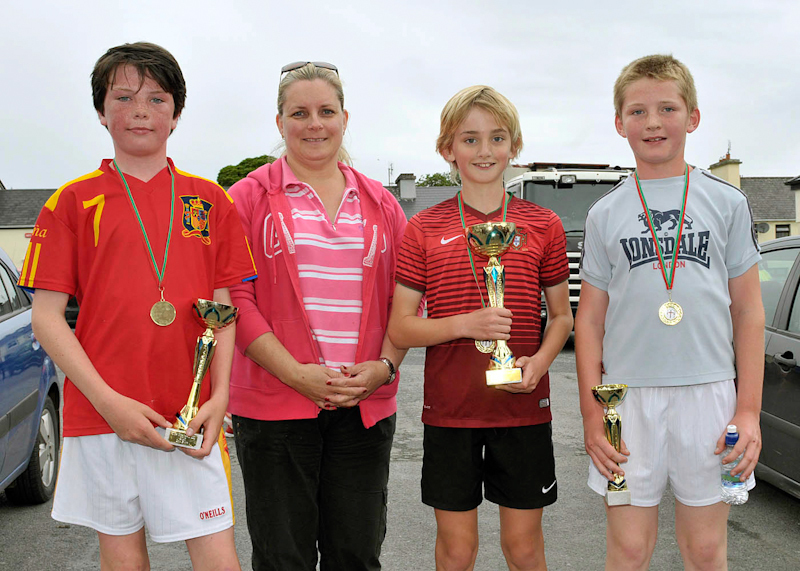 Boys Winners of the Balla under 16’s 2k children’s Road Race/Walk sponsored by The Shebeen Bar Balla, l-r; Bob Tuohy 2nd, Caroline Gilmartin (sponsor), Gavin McNamara 1st, Thomas Mellett 3rd . Photo © Ken Wright Photography 2015. 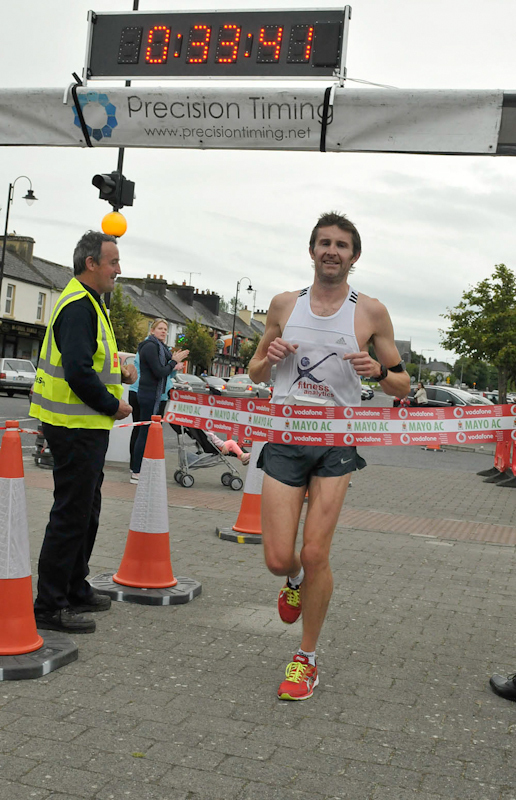 Balla 23rd 10k Road Race/Walk, sponsored by Western Farming Development Co-Op Society Balla, 1st place men’s winner Matt Bidwell from Galway City Harriers. Photo © Ken Wright Photography 2015. 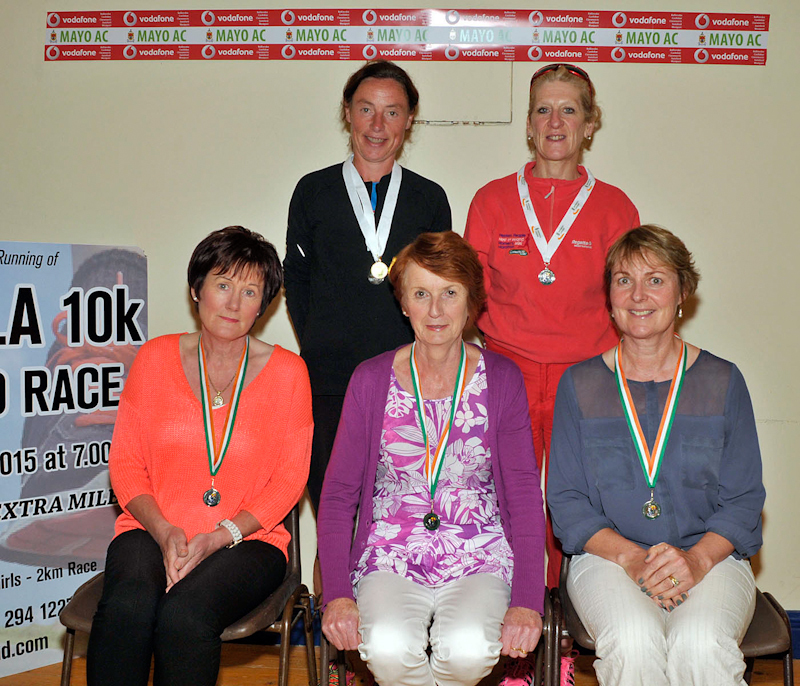 Balla 23rd 10k Road Race/Walk, National medal winners in track and field events front l-r; Mary Walsh, Mary Murphy and Monica Joyce. Back Colette Tuohy and Ann Murray. Photo © Ken Wright Photography 2015. 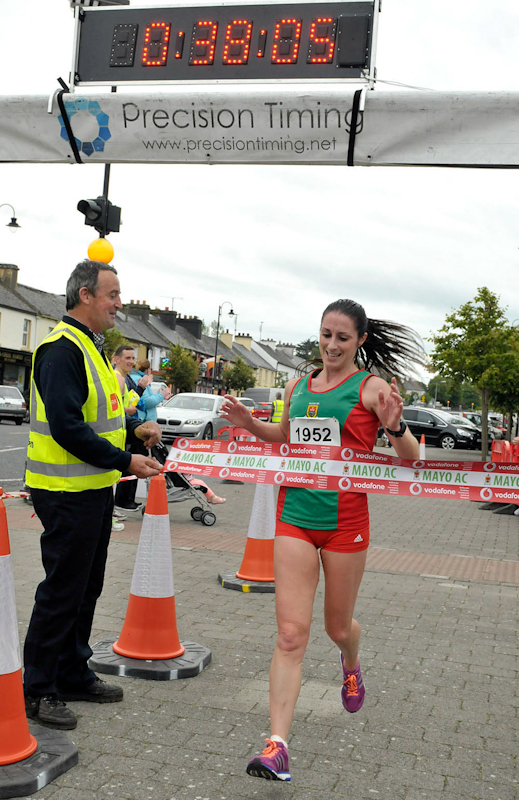 Balla 23rd 10k Road Race/Walk, sponsored by Western Farming Development Co-Op Society Balla, 1st place ladies winner Nora Newcombe Pieterse from Mayo AC. Photo © Ken Wright Photography 2015. 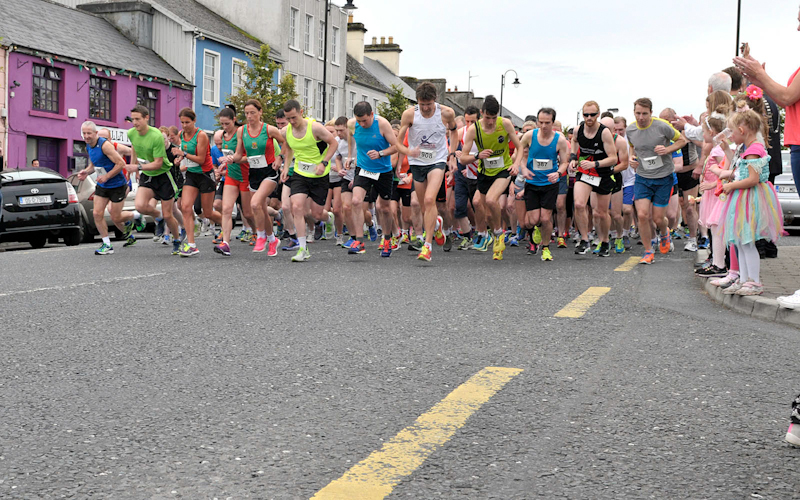 Balla 23rd 10k Road Race/Walk, The race was started by Councillor Michael Holmes Cathaoirleach Mayo County Council Photo © Ken Wright Photography 2015. 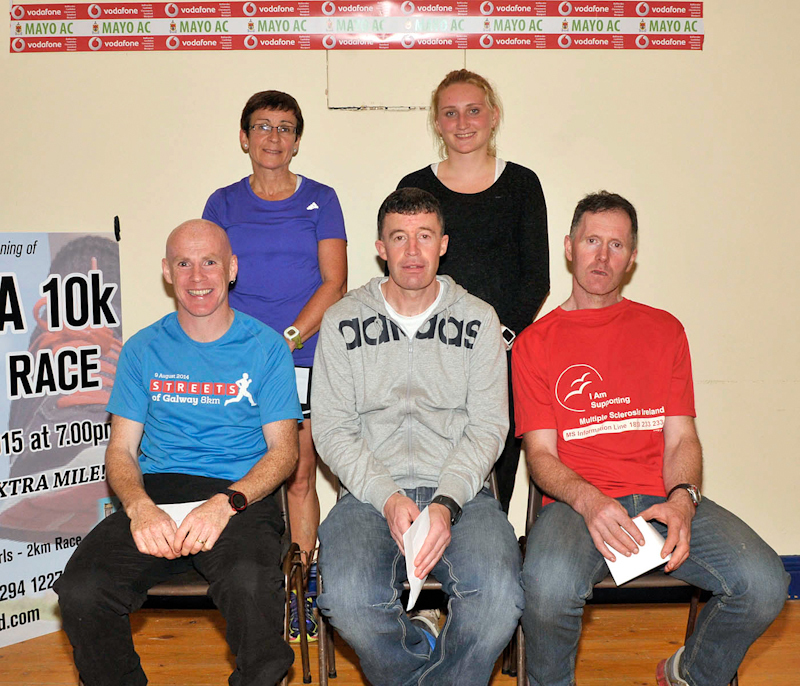 Balla 23rd 10k Road Race/Walk, presentations winners and runners up in various age categories front l-r; Sean Murphy, 1st Over 40 Michael McNeela,2nd Over 40, Hugh Duffy, 1st Over 50. Back Maura Dervin 1st Over 50 and Susan Shiel- Rankin, 1st Under 23. Photo © Ken Wright Photography 2015. 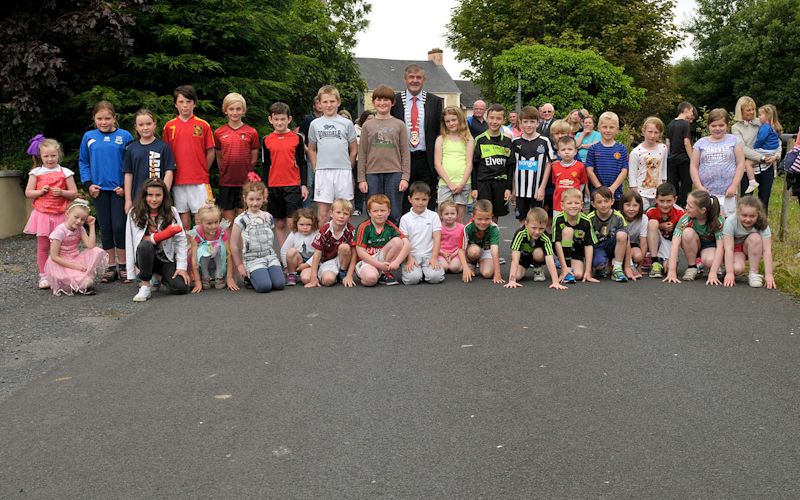 Balla under 16’s 2k children’s Road Race/Walk sponsored by The Shebeen Bar Balla, a group of children ready to start the race pictured with Councillor Michael Holmes, Cathaoirleach Mayo County Council. Photo © Ken Wright Photography 2015.